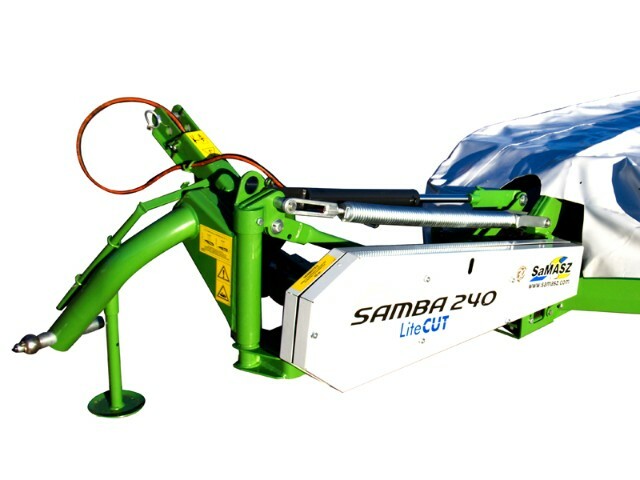 SAMBA mowers are equipped with SaMASZ LiteCUT cutterbar featuring quick knife replacement system, hardened discs and slides, central knife holder and strengthened load-bearing bushings. In addition, central knife holders design has a great influence on cleaning the cutterbar. 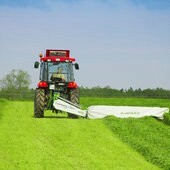 The Samba series is designed to operate on smaller farms. 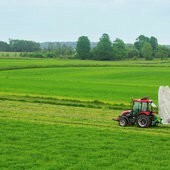 The mower works well in hilly as well as swamp areas, where machine and tractor weight is of great importance. The use of the modernized pressure relief system also allows for optimal ground pressure adjustment.